With colder days quickly approaching here in the Northeast and my motivation to get outside dwindling; I am looking for indoor activities to do with the twins. I recently went to Target to purchase crayons, washable markers and construction paper for a little arts and crafts time. I enjoy getting creative and I am always writing so it was no surprise to see my 19-month old daughter enjoy the same things. She will write with whatever she can get her hands on. Over the past two weeks, she asked me for paper every morning. Watching her write and color has been fun but I haven’t enjoyed the crayon marks that are showing up. I definitely knew what I was getting myself into when I introduced them. Now I am just looking for the best option for crayon remover. After searching the web, I decided on the five options listed below because I already had the items in my house. Baking Soda – Have a box laying around that you purchased to deodorize your refrigerator or diaper genie? Grab a damp rag or paper towel and dab it in some baking soda. Then gently rub the marks off the wall or furniture. Quite simple. Toothpaste – I used a non-gel toothpaste, Colgate Cavity Protection to be exact. I grabbed a damp rag and a little squirt of toothpaste. I applied it to the dining table and rubbed the crayon marks away. Then I wiped the area with water. Since toothpaste contains mild abrasives to remove debris from teeth, it can easily remove crayon from surfaces. Vinegar – I often use vinegar and water as a non-abrasive cleaner for almost everything in the house. For crayon removal though, you will need undiluted vinegar. I never tried it but I heard vinegar can help with removing crayon from clothing before washing. WD40 – The steps are quick and simple. Spray then wipe with a rag. WD-40 should not damage your paint or furniture items. Goo Gone – This was a recommendation from my husband. It does contain a citrus scent so you may want to use in a ventilated area . All it requires is a tiny drop on a paper towel or rag. 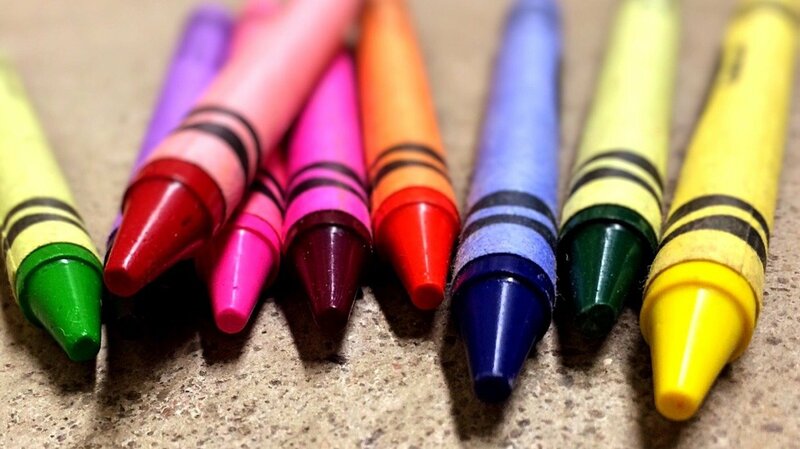 Once the crayon marks have been wiped away, be sure to wash surface with soap and water to get rid of residue. Personal Favorite: Baking Soda due to its quick removal, low odor and ability to get it almost anywhere. 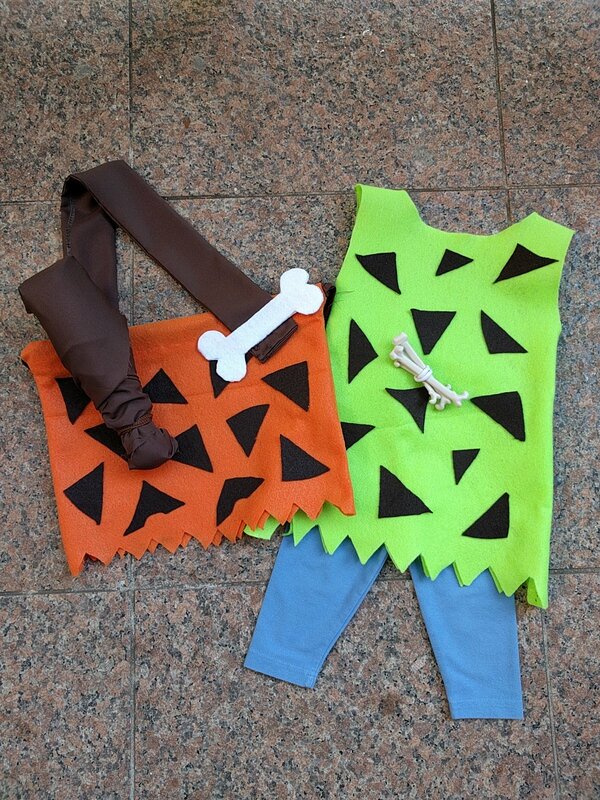 The Pebbles costume was easy to make and didn’t take a lot of time. Most of the items listed below were purchased from Jo-Ann Fabrics or I already owned them. 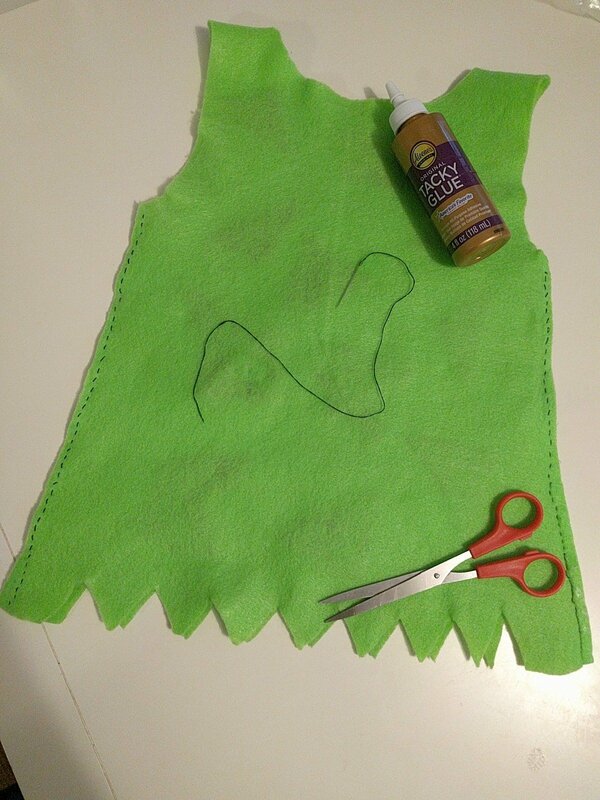 To figure out how much felt is needed, get one of your toddler’s dresses to use as an outline. You will need to measure the width and length then multiply it by two. I purchased half a yard to account for error because sometimes I don’t get it right on the first try. First, I laid the felt down folded in half. This way I would have a front and back outline after cutting. 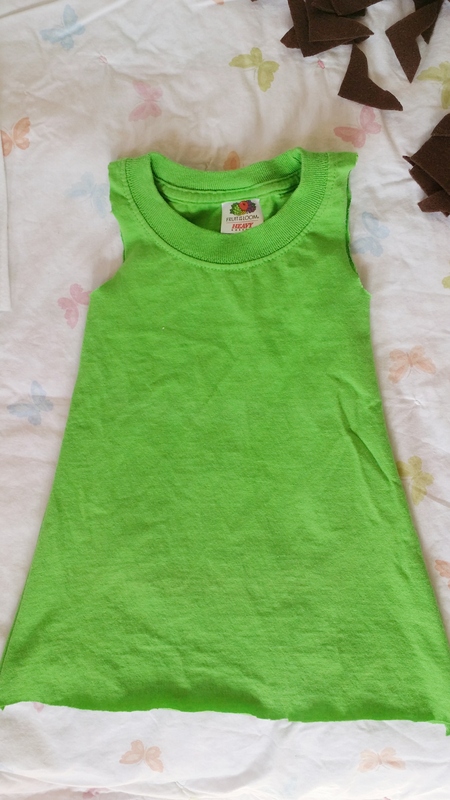 I then took one of my toddler’s dresses and laid it on top off the felt. You can pick whatever style you like but I prefer something that is A-line. You can go with sleeves or sleeveless. 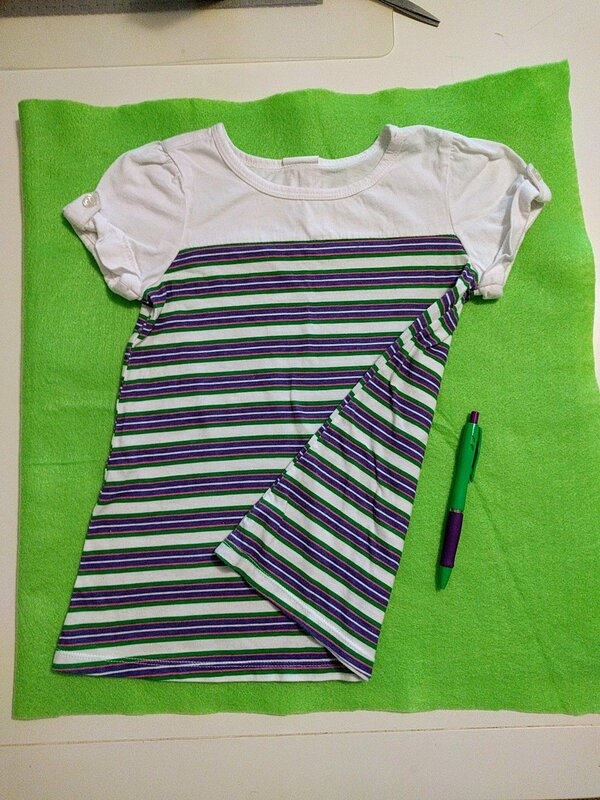 I chose to fold the sleeves in and make it sleeveless because it’s much easier to sew that way. Using a black pen, I traced an outline of the dress onto the felt. 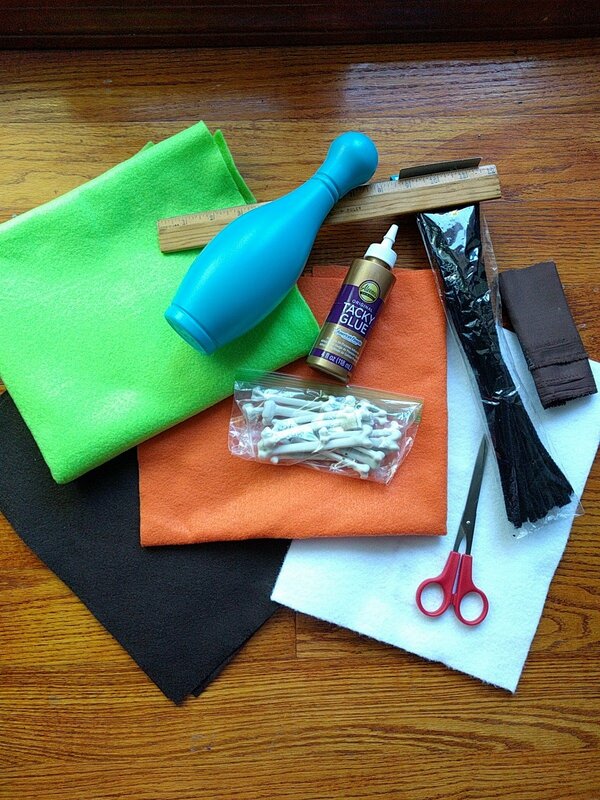 Tip – Place a dot at the bottom of the sleeve so you know where the arm opening should be. Using sharp scissors, cut the traced outline. Make sure you are holding both sides together to ensure two same sized pieces. I initially glued the seams together, leaving holes for the arm opening. What I later discovered after letting it dry for about two hours is that it wasn’t a great hold. Since felt is pretty stiff, there was a little bit of stretching when trying to put the dress on. 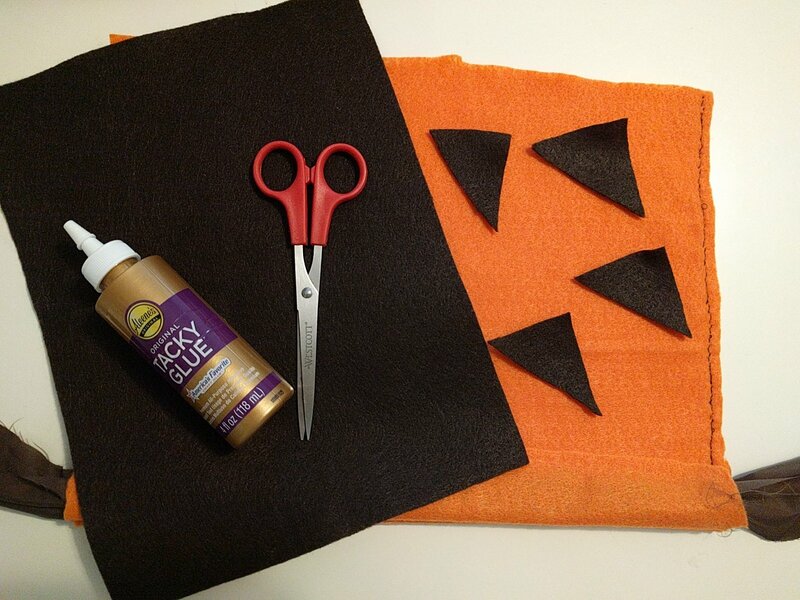 My advice is to stitch the sides or try a different glue than the one shown in the photo below. I grabbed a needle and black thread to stitch the seams. You honestly don’t have to worry about the color because when you turn it right side in, the thread won’t show. Since I started by gluing the seams I had a guide for where the arm opening should be. This step is quite easy. All you have to do is cut triangles on the bottom of the dress. I used one sheet of brown felt to make the decals. I cut about 20 triangles to place on the front and back of the dress. I started off by using a two-inch strip and folding it in half. 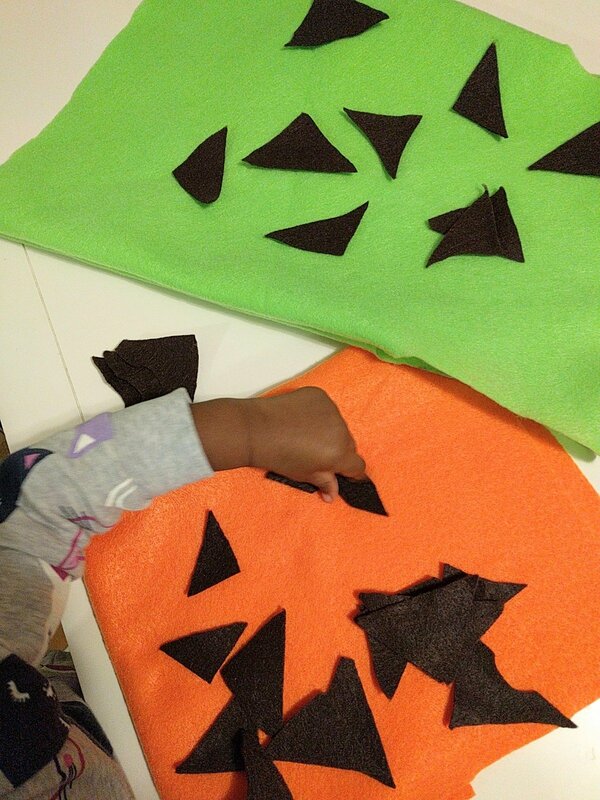 I then cut out as many triangles as possible. After I was done with that strip, I laid them down on the remaining brown felt and cut some more. Beginning with one side, I arranged the felt decals on the dress. I spaced them out randomly until it had my desired look. This is the part where the glue came in handy versus sewing. I tried my best not to lift the entire decal when gluing because I didn’t want to mess up placement. So I flipped one side up to apply glue (I forgot to take a picture but it would look like you are folding the triangle in half.) Then I did the same thing to the other half. It’s probably a little hard to imagine without a photo so do what works best for you. Lastly, you flip the dress over and repeat these steps. I love how everything turned out and the best part was it cost me less than $10!!! Luckily, my daughter already owned a pair of blue leggings but I am sure a cheap pair can be found anywhere. My hubby and I won’t be dressing up as a family this year but I am hoping to get him in on the fun next time. See pics of my little one below and don’t forget to put a couple of bones in her ponytail.